See more objects with the tag butterflies, women's fashion accessories, women's clothing, fruit, birds, scrolls, leisure, snails, vines, headcovering, warmth, rabbits. See more objects with the color tan grey dimgrey papayawhip darkslategrey or see all the colors for this object. This is a Coif. 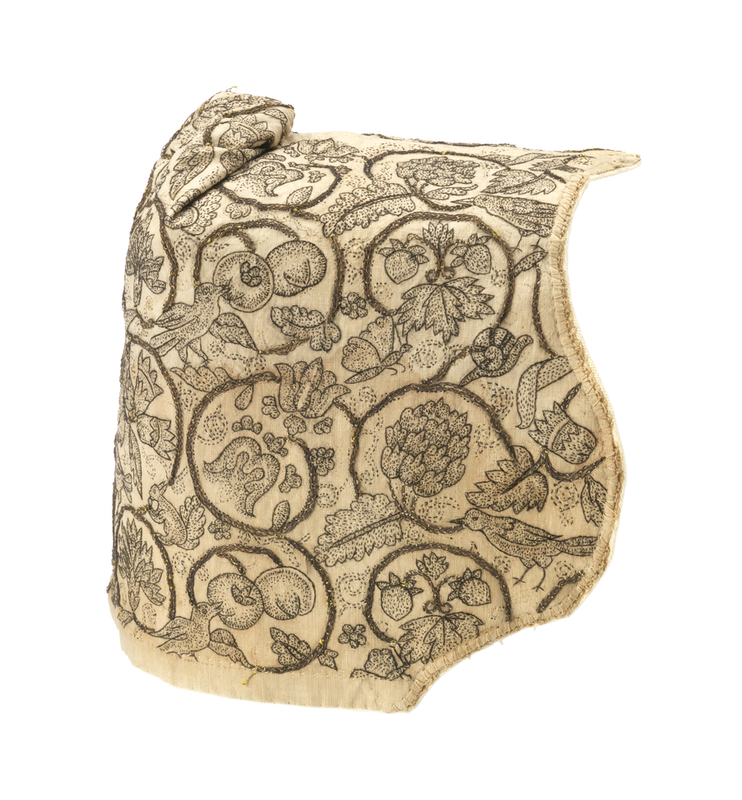 It is dated late 16th–early 17th century and we acquired it in 1962. 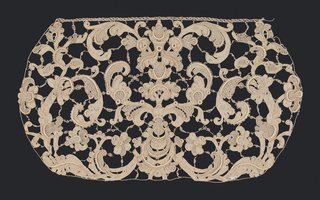 Its medium is linen, silk, metallic (metal-wrapped silk-core yarns) and its technique is embroidered using running, seeding (speckling), stem and couching stitches on plain weave. It is a part of the Textiles department. It is credited Bequest of Richard Cranch Greenleaf in memory of his mother, Adeline Emma Greenleaf.